Events that celebrated Great Northumberland were brought to a close earlier this month, and it is thought the programme brought thousands of visitors to the county. Devised and delivered by Northumberland County Council, and inspired by the Great Exhibition of the North, Great Northumberland was the branding of all the arts, cultural and heritage events across the county to make planning a summer in Northumberland fun and simple. Hundreds of events took place across the region from June to September, many of which were family-friendly, and more than 80 per cent were entirely free of charge. Venues from all over Northumberland were invited to list their events for promotion on the Great Northumberland website, which has since been entered into the Good Web Guide Awards. This allowed visitors to the site to view a calendar of events spanning the entire summer. In addition to the wealth of activities happening across the county, Northumberland County Council created new experiences for visitors and residents. Thousands of visitors attended the core Great Northumberland series of events, which spanned Blyth to Stamfordham, Mickley to Morpeth, Hexham to Berwick and everywhere in between, with venues reporting record attendance, sell-out events and positive audience feedback. There were record visitor numbers to Cheeseburn Sculpture in Stamfordham, who saw more than 1,200 people attending in just three days over the bank holiday weekend, its highest ever number of visitors in its four-year history. In total, approximately 2,100 people visited Cheeseburn to see a Great Northumberland exhibition and performance, in which artist Joseph Hillier worked with dancers Lizzie J. Klotz and Maria Vincentelli to create sculptures of dancers in motion, as well as live pop-up dance performances in and around the 10-acres of landscaped gardens. A new song, The Great Song of the North, composed especially for Great Northumberland by Dominique Le Gendre, was performed for the first time as part of the closing event of the celebration to a sell-out crowd at The Maltings Theatre and Cinema in Berwick. The song suite was performed by the community choir and Music Co-OPERAtive Scotland (McOpera), formed of players from The Orchestra of Scottish Opera. 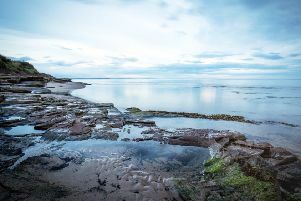 “We are delighted to have welcomed so many visitors to Northumberland this summer,” said Peter Jackson, leader of Northumberland County Council.